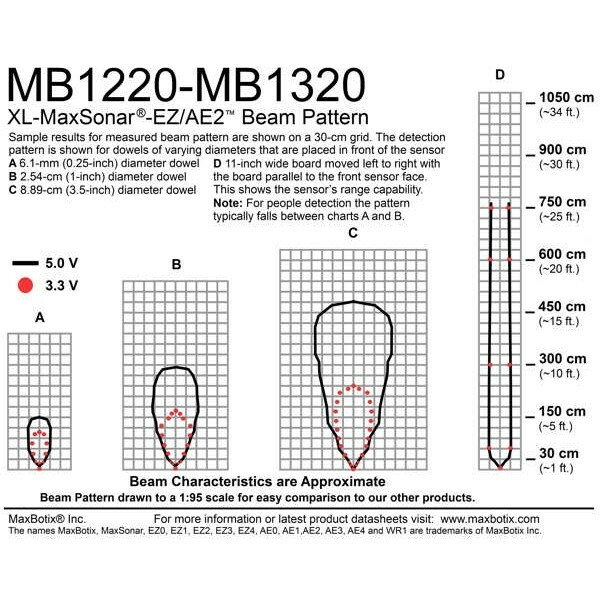 The MaxBotix MB1220 XL-MaxSonar-EZ2 Long Range Ultrasonic Rangefinder is an excellent choice for measuring distances indoors. 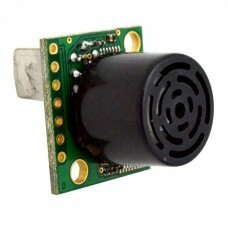 This ultrasonic distance sensor has a range from 20-765cm or about 8- 300 inches. That's a range of up to 25 feet! It features virtually no close range dead zone with objects closer than 20cm appearing as 20cm. 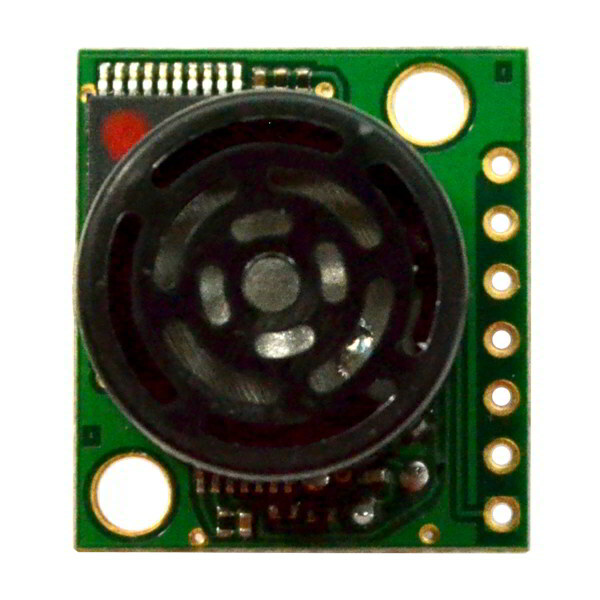 The distance sensor has a resolution of one centimeter. Ultrasonic distance sensors operate by sending out an ultra-high frequency sound that bounces off of nearby objects. The sensor measure the time it takes for the ultrasonic ping to bounce back to the sensor and uses it to calculate the distance. MaxBotix sensors are factory calibrated for accurate distance measurements. 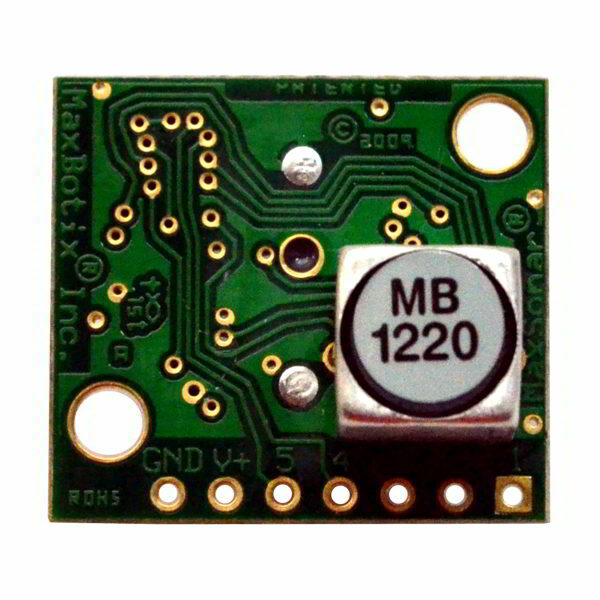 Output from the XL-MaxSonar-EZ2 range finder is available as an analog voltage, a digital pulse and a TTL serial data stream. This module will work with 3.3V and 5V microcontrollers and only consumes about 3.4mA of current.